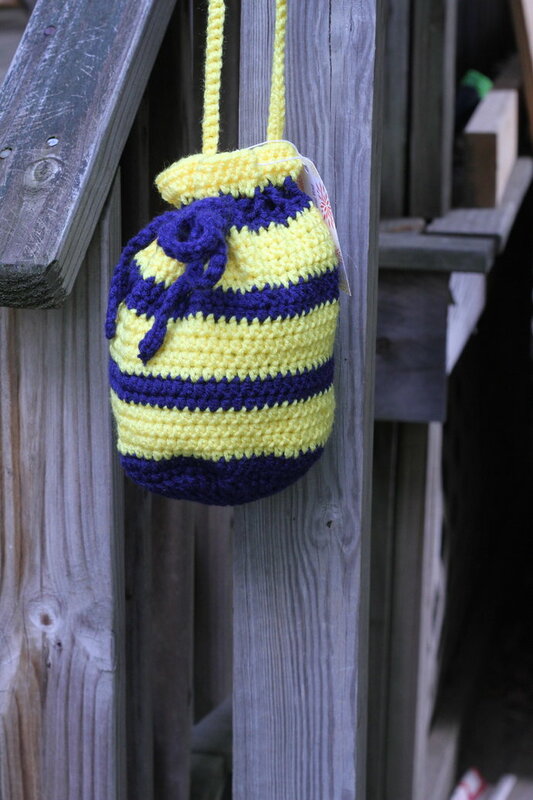 This drawstring bag can be made with one color or with two colors. It is about 10" tall x 8" wide without strap and strap is about 27". If strap too long a knot may be made to adjust length. This is great for traveling for use when souvenir shopping. Great everyday bag for a teen. Made of yarn (acrylic) with a wooden bead for the drawstring. Machine washable warm in gentle cycle. May tumble dry low but recommend lying flat to dry.